Simpson’s Bargain Basement Gifts have been generous sponsors of our Spring Fair in the past and we are so pleased that they have donated items to help with Obstacool next week. 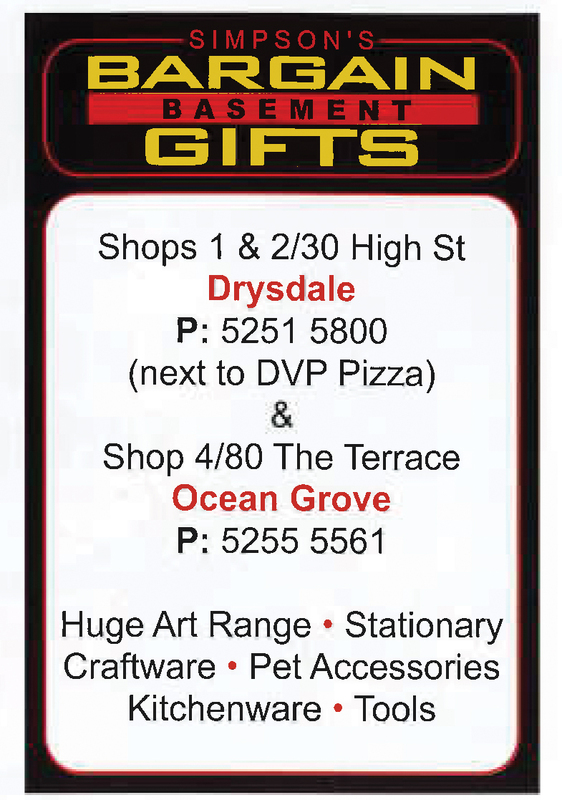 Located in Drysdale, the store has a huge range of art supplies, stationery, craftware, pet accessories, kitchenware and tools. We thank them for their continued support of Drysdale Primary School.